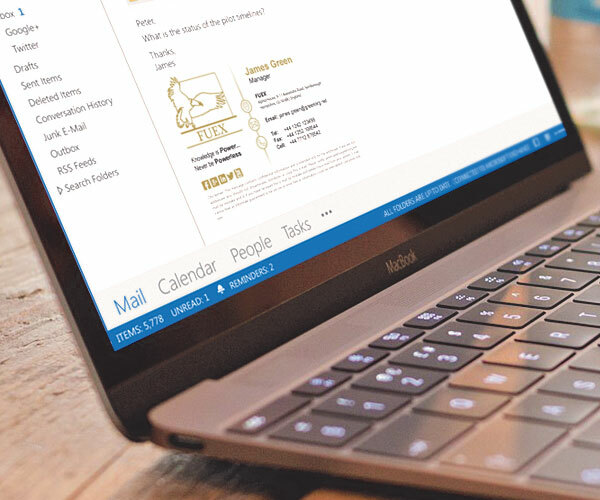 Collett Systems has partnered with Exclaimer and is proud to offer world-class Office 365 Email Signature Management for businesses of all sizes. Exclaimer offers the perfect solution for managing email signatures throughout your Office 365 deployment. When your workforce email is run through our services, all email will contain a full, dynamic and professional email signature – no matter if sent through mobile devices. It easily allows for easy, flexible management of signature elements like social media icons, promotional materials and legal disclaimers from one intuitive web interface. It’s time to whip those email signatures into shape! Want to make signature updates simpler. Want signature maintenance to be easier. Want to spend less time on signature management. Want consistent signatures for all users. Want to easily add marketing banners and social media. Why do I need to manage signatures? Office 365 email signatures are difficult to manage on an enterprise level. Users may tamper with them, important elements overlooked, and IT staff spends an inordinate amount of time with updating. Brand reputation and legal requirements can now be maintained with ease. No more hit and miss compliance! Why not manually update signatures? With our cloud-based solution, you can design and update signatures very quickly. Nothing to install, no rules or client config at all. Manual deployment is a struggle made painless with automation. Best of all, you won’t need any HTML knowledge to craft beautiful and professional signatures. Can’t I just use Office 365? You would have to manually import it from another source as Office 365 has no HTML editor. You’ll also have to deploy it manually with no control or insight into it throughout your organization. Office 365 also won’t let you embed images. With this shortcoming, all of your recipients see it as an attachment!